What a week for the U11s! With training 3 times a week and a game at the weekend, it’s easy to forget about the fun and emotions that makes football the sport we all love. So this week has been an amazing experience for the U11s and a reminder about the fun, passionate and emotional side of football. 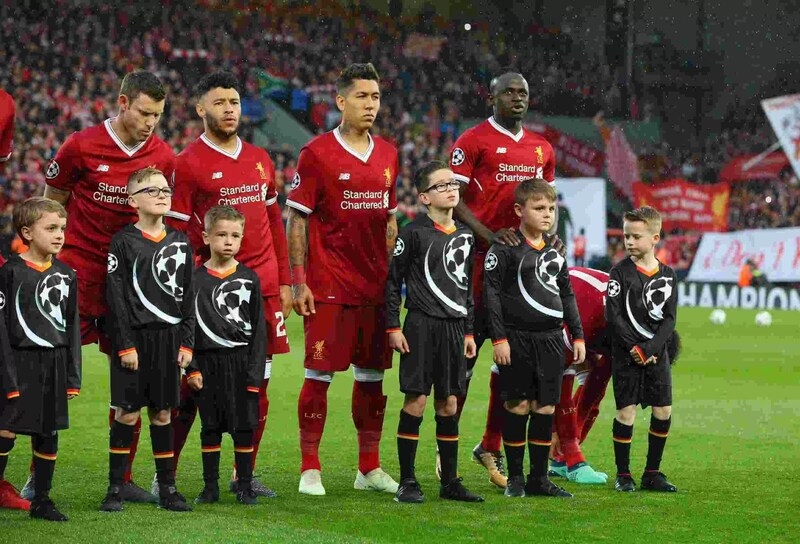 First up is the semi-final of the Champions League at Anfield last Tuesday evening. 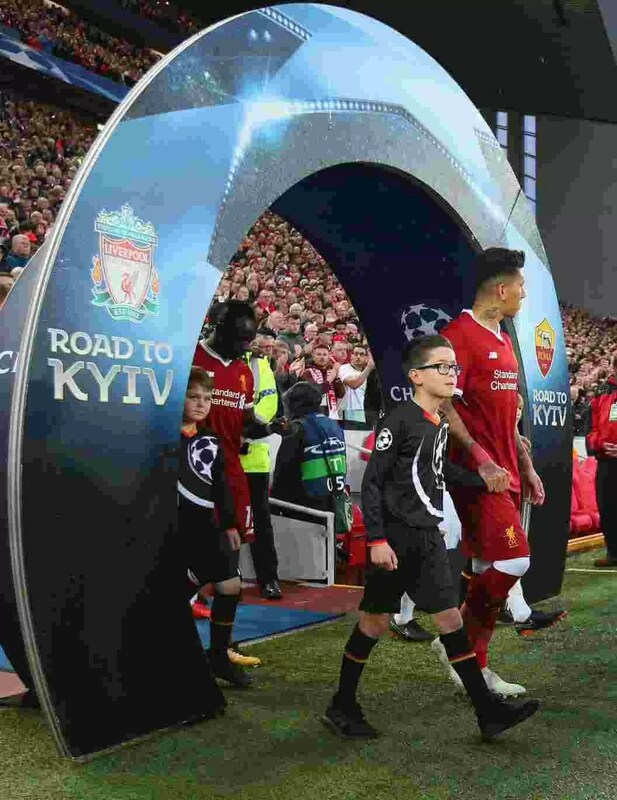 Liverpool FC hosting AS Roma to fight for a place in the biggest club game in the world. A million miles away from AUFA’s youngest squad you’d think. Not for Ben Brown, U11s flying winger, who was lucky enough to be selected as a Mastercard Player Mascot for the game. Ben’s excitement was surpassed only by that of his Dad as they headed south for Liverpool. An amazing experience already, things got even more exciting when Ben gets told he will be leading Roberto Firmino out onto the pitch! Ben took the opportunity to give Bobby a few pointers before kick-off. He must have listened as he went on and scored 2! Now moving on to the big game of the week. Ayr United versus Albion Rovers at Somerset Park. Ayr in with a slim chance of winning the league. Win this game and hope that Raith Rovers fail to win; the Championship and automatic promotion is balanced so delicately after a long season, what drama. With the U11s game away to Inverness being cancelled, the squad were encouraged to head along and support the senior team. 18 out of 19 made it along and all sat together in the crowd with coaches Stuart and Billy making sure they behaved themselves. As the game progressed with Ayr in control of their game, winning 2-0, the focus switches, out came the phones to find out if Raith were winning. They’re not and as it draws closer to full time, the boys start preparing to go on the pitch to celebrate. Don’t jinx it boys! Finally, word comes through from Starks Park that Raith have failed to score! (it’s a draw) Ayr have won the league! 18 very happy and excited boys run on the pitch, along with everyone else, to celebrate with the players and fans. What an experience for the young boys, and hopefully some great inspiration for them and they’re footballing careers. The 11s players and coaching staff would like to say a huge congratulations to the first team and their successful season, and a big thanks for allowing us to be part of it on the last day!